PRO_SAM - 2S.I. Software e Servizi per l'Ingegneria S.r.l. 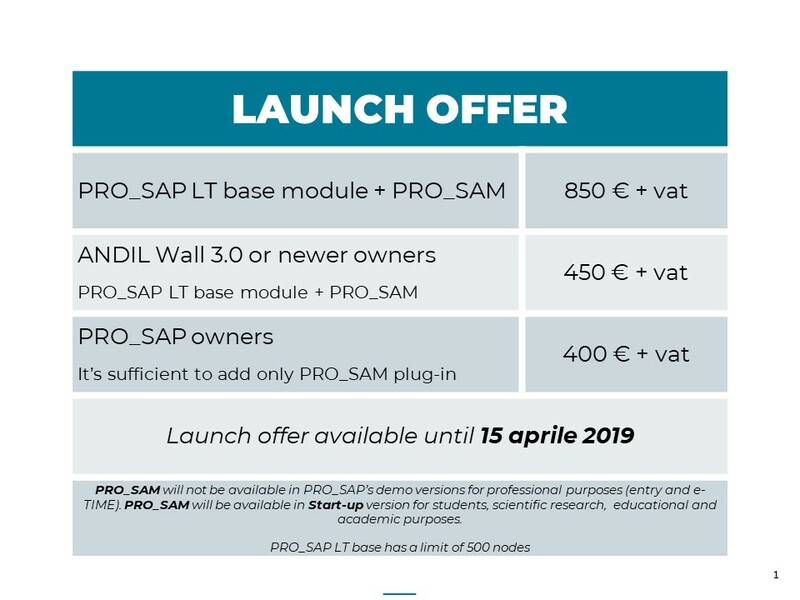 PRO_SAM is the new PRO_SAP‘s plugin which connects PRO_SAP with the SAM II solver. SAM II is promoted by ANDIL (Associazione Nazionale Degli Industriali dei Laterizi) and developed by Professor Magenes with Manzini and Morandi. It allows to perform multimodal analysis, linear and non linear static analysis (pushover) modelling masonry buildings with the equivalent frame method. It also allows to design reinforced concrete buildings, reinforced masonry buildings and also mixed systems (e.g. masonry and reinforced concrete buildings). SAM II solver has a consolidated literature behind it, there are a good number of reference and applications in Italian and international technical literature. As a consequence of the new Italian standards for structural design of 2018 ANDIL assigned to 2S.I. the opportunity to carry on ANDIL Wall project. The new features are, among others, the input system completely renewed, a new output, both in graphical and in table format and the possibility to interact with PRO_SAP‘s modulus. 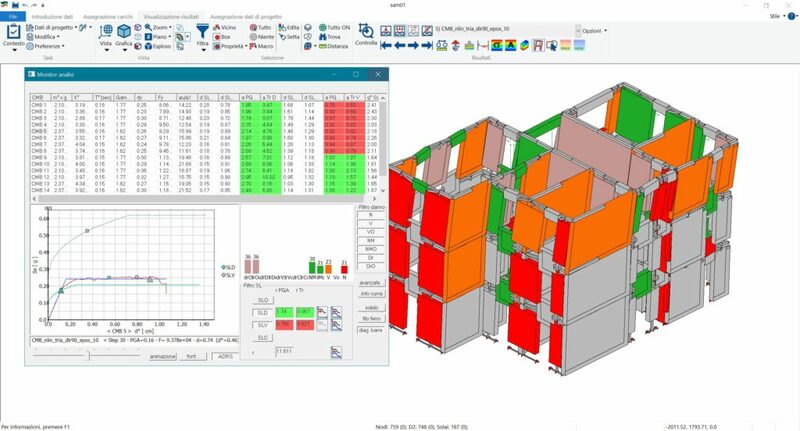 PRO_SAM, is perfectly integrated in PRO_SAP allowing to manage different materials on the same structure and to connect with other modulus to check, for example, foundation elements and perform local kinematic analysis of masonry walls.